When a new site is cleared for construction, trees are removed. 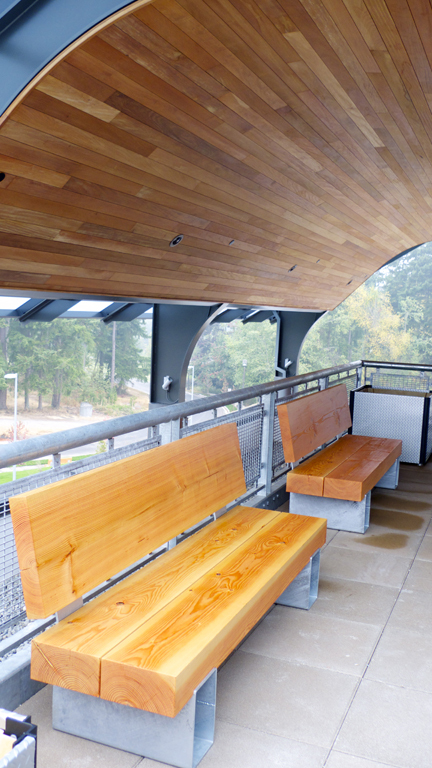 And when we are involved, those same trees are reabsorbed into the building design plans - transformed as part of the building itself, as a lobby bench or conference room table. This process we refer to as "site salvage". In recent years an increasing number of companies have embraced this idea wholeheartedly. It isn't just good for the planet but also makes for a wonderful story that is meaningful to the occupants and visitors of the building. Sure, it's conservation-minded, a form of closed loop product recycling and assists in the sequestering of carbon dioxide, which all aline with our constant efforts to reduce waste. But at the end of the day, it's also about the story of origin and our connection. So how it works. We work with the developer or landscape contractor to determine the best use for the trees on site. 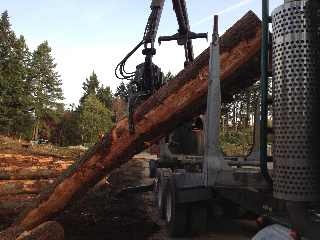 With expert sawyers, millers and loggers on staff, we can provide feedback on the viability of your standing trees and equip you with the information you need to make practical design decisions. 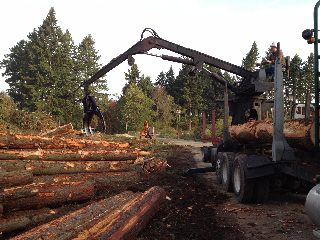 In cases of building salvage, we coordinate with demolition companies to salvage timber for re-miling and reuse. All within a 100 mile radius of Seattle. (See FAQ on tree salvage). The trees are cut and decked within 20 feet of roadsides where we pick them up. From there, the felled trees head to the mill where they are slabbed to the appropriate thickness and then kiln dried. Once all the moisture has been removed, the slabs are delivered to our production shop in Sumner where they are transformed into either furniture or building materials to go back to the site. As schematic design was underway for Group Health Puyallup, Meyer Wells was approached by the project designers from Collins Woerman interested in the possibility of salvaging trees from the site for reuse in the building. 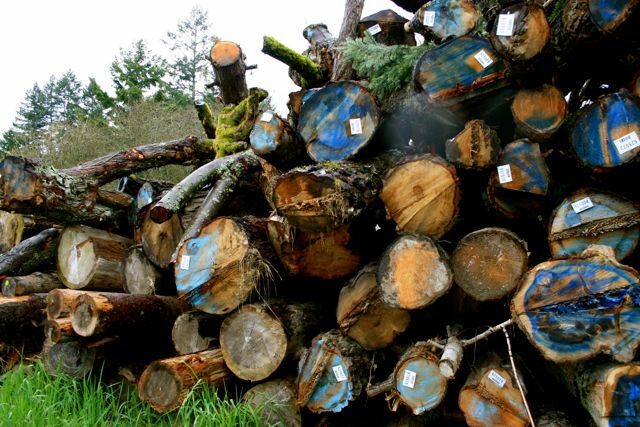 Our resident logger David Keinholz was sent to assess the trees and identified six truck loads of wood that could be sawn, kiln dried and milled into architectural wood products and site-furnishings. As project specifications tightened up, construction documents progressed and log yields were determined, Meyer Wells was able to process the site-salvaged wood to suit the exact needs of the final design.